Tell us everything will need to know about you. PHAZE II is a six piece ensemble that has been providing Smooth and Funky Jazz sounds in and around the Washington, DC area. PHAZE II has embarked on a journey to help bridge the gap between Contemporary and Traditional jazz. Jazz and Funk. Because of the serious groove and the outstanding musicianship. 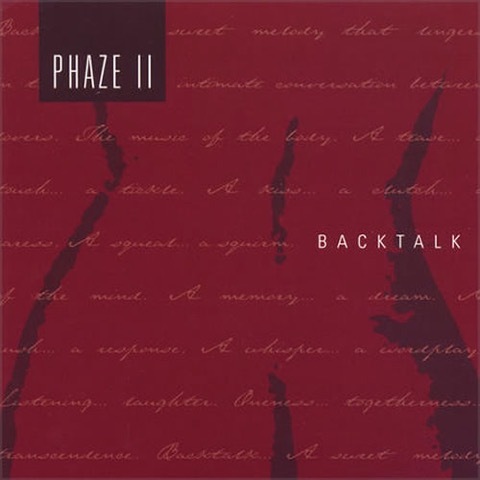 Phaze II has been making great music since 1997. Not a specific theme per say but it’s a blend of smooth jazz and Latin jazz. Special thanks to Mr & Mrs Elbert Norton Jr and Patricia Perkins for being there from the very beginning of this 20 plus year journey. Tell us about your future goals. Release of our new CD this Spring for starters. Hopefully charting on Billboard and a possible Grammy award would be icing on the cake. Go into detail about your opinion on religion and politics. Religion is a very personal thing for each individual. Politics is associated with just about everything. Whether it’s in government, business, music, entertainment, the job market or whatever. It’s all in who you know and not what you know. Music is the common denominator for mankind. People come together at concerts for one reason, to listen to good music! Most of our music is real smooth or upbeat and is feel good music. Explain the changes you have observed so far in the music industry. The music industry has really gotten away from real good music. Now it’s more about a look and popularity of the artist. There are really too many to mention. Have to say Miles Davis, Stevie Wonder, Prince, Grover Washington Jr, Michael Jackson just to name a few. All of these great artists stayed at the top of their genres for decades. Lyrics for the most part are most written by the songwriter or the vocalist. Collaborating is always fun. It’s better to have different ideas come together to create great music. Brief us your opinion on making music that makes people to dance or making the kind of music with genuine message that inspires them. Dance music is great because you get to see the crowd party and have a good time. Music with a message will always stand the test of time. Case in point, “What’s Going On” by Marvin Gaye is still relevant today. Tell us what you know about copyright. Copyright is not very difficult at all. It’s is very essential that you copyright your music though. Nothing worst thing that can happen is for someone else to get paid for the music that you created. Discuss the impact of a Performing Rights Organization. Not to knowledgeable about them at all. I would assume to say they are in the business to protect performing artist. That can develop in various ways. Melodies come from feelings, emotions or daily occurrences in life. Our instrumentation is mostly live instrumentation. What you hear is what is being played. Go into detail on the recording process of this song. This song was written by our guitarist. He had the ground work idea and we went into the studio, worked it out and this is the finished product. Our music performance is like a controlled jam session. We never know what is going to happen until it’s time to jam. Tell us how you will rate yourself as an artist. It’s hard to say. I feel it’s not up to us to rate, but it’s up to the audience. They will determine whether you eat steak or you eat hamburger.